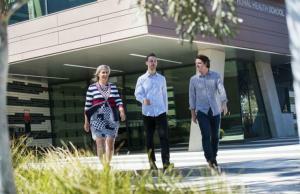 New Times Higher Education subject rankings have confirmed La Trobe University is a world leader in health teaching and research. La Trobe University has jumped 72 places to 243 in the subject category of Clinical, Preclinical and Health, which includes dentistry and allied health. The University is now in the 201-250 band, up from the 301-400 band last year. 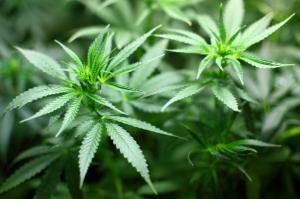 La Trobe Pro Vice-Chancellor for Science, Health and Engineering Professor Robert Pike said it was an excellent result. 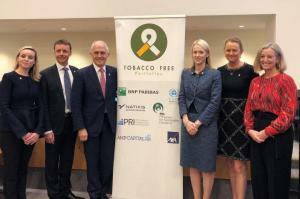 La Trobe University is a founding signatory and the first university to sign up to the world’s first Tobacco-Free Finance Pledge. The Pledge’s aim is to ‘de-normalise’ tobacco by ending all business and financial ties with the industry, and reduce the annual death toll of 7 million who die from preventable, tobacco-related illnesses. La Trobe University has welcomed the news that Australia’s first Research Hub for Medicinal Agriculture will be located at its Melbourne campus in Bundoora. La Trobe University has been recognised as a national leader in the emerging field of medicinal agriculture. The University has welcomed the news that Australia’s first Research Hub for Medicinal Agriculture will be located at its Melbourne campus in Bundoora. The $27+ million initiative will combine extensive research and industry expertise to create new jobs and drive better health outcomes. The Golden Age category applies to universities that are more than 50 years old, but less than 80, and recognises universities created during an extraordinary post war era of higher education expansion. 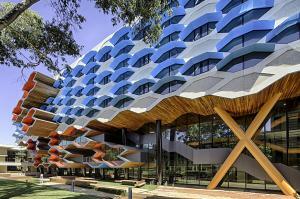 La Trobe University Vice-Chancellor Professor John Dewar said he was pleased at how well La Trobe had performed in its first year of inclusion in the Golden Age rankings. Students at La Trobe University are starting their studies this year with a new competitive edge - an innovative career development program that is building their long-term career prospects while they study. The program, called Career Ready Advantage, is available to all 35,000 students across all seven campuses. It has been designed in conjunction with Australia’s leading employers to help combat the rapid pace of change in the workplace and address the need for graduates to have a far broader range of abilities to be successful. 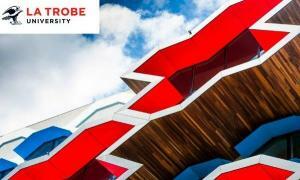 An update of the international scholarship opportunities that La Trobe are offering in 2018. Please note that students will be automatically assessed for all scholarships on offer by their admissions staff after an application has been submitted. We would like to take a moment to wish you a wonderful new year filled with abundance, joy and treasured moments.Below is an update of the international scholarship opportunities that La Trobe University will offering in 2018. Please note that students will be automatically assessed for all scholarships on offer by their admissions staff after an application has been submitted. 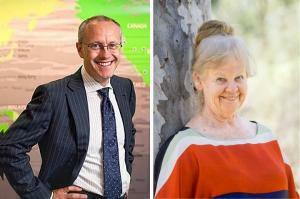 A highly-decorated research scientist and a respected business leader have been appointed La Trobe University Vice Chancellor’s Fellows. Recent winner of the Prime Minister’s Prize for Science, Distinguished Professor Jenny Graves AO has been appointed a VC Fellow. As the first solo female to win the coveted prize, she will work to help ensure more women are successful in their science careers. Former Incitec Pivot Limited CEO James Fazzino will utilise his strong industry connections and insights to help employment outcomes of business school graduates. Arts & Humanities subjects at La Trobe University have been given a big endorsement by The Times Higher Education Rankings. 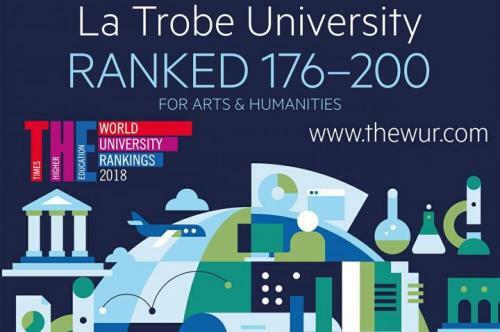 The first of The Times Higher Education’s subject rankings since its overall rating of La Trobe just over a week ago has placed the University’s Arts & Humanities in the top 200 in the world – or the top one per cent globally. La Trobe is championing a shift in business schools toward better recognized industry professionals by awarding them academic titles. 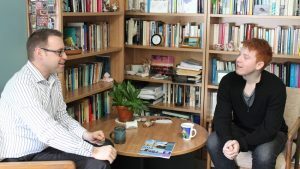 The Professor of Practice titles seek to highlight what industry can contribute to academia and represent a largely new concept for business schools and faculties across Australia. 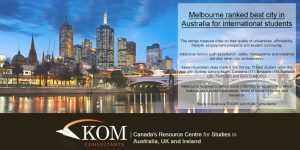 Melbourne ranked best city in Australia for international students for student mix, which looks at city’s student population, levels of social inclusion. The ratings measure cities on their quality of universities, affordability, lifestyle, employment prospects and student community. Additional factors such as pollution, safety, transparency and tolerance are also taken into consideration. Seven Australian cities made it into the top 75 best student cities this year with Sydney coming fourth, Canberra (17), Brisbane (18), Adelaide (26), Perth (35) and Gold Coast (69).